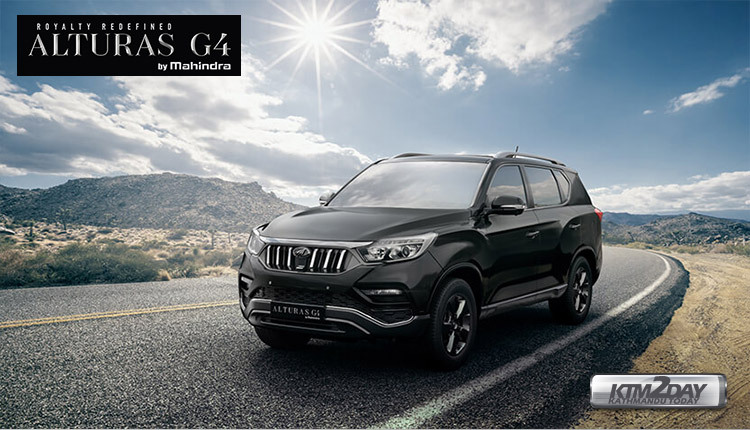 Mahindra and Mahindra (M&M), recently launched Alturas G4 which is the rebadged Ssangyong Rexton, marks the company’s entry in ultra premium utility vehicle segment. The Mahindra Alturas G4 belongs to a ultra premium SUV segment and comes at a price of INR 26.95 Lakhs(approx. NRs.1crore 10 Lakhs) . That makes Alturas G4 one of the most expensive SUV in the Indian market and places it right on the top than Ford Endeavour and Toyota Fortuner in similar price segment. Mahindra Alturas G4 is a re-badged SsangYong Rexton. 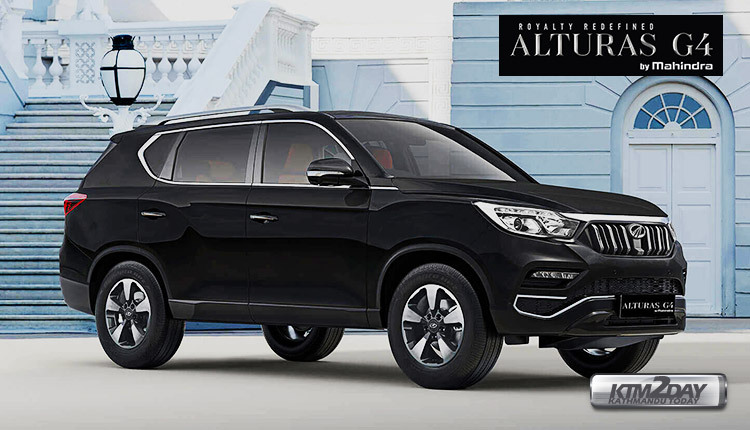 Mahindra acquired Korean automaker Ssangyong Motor in 2011 and a year later in October 2012, Ssangyong Rexton was launched in India.However, the SUV did not garner much sales and consequently M&M rebadged Rexton with a few changes and launched it as Alturas G4. Visually, the Alturas G4 gets a new Mahindra-style chrome grille, along with premium exterior features like – LED headlamps and taillights, alloy wheels, sunroof and more. The Mahindra Alturas G4 will also come with an abundance of chrome all over. As for the cabin, the SUV is expected to come with soft-touch materials all around for a plush feel, along with dual-zone automatic climate control, ventilated seats, 8-inch touchscreen infotainment system with Bluetooth connectivity, Android Auto and more. Under the hood, the Mahindra Alturas G4 will be a 2.2-litre turbocharged diesel engine with 183 bhp and will come mated to only an automatic transmission. The Mahindra Alturas G4 will be offered in two variants – 2WD AT and 4WD AT, offered in four colour options – New Pearl White, Napoli Black, Lakeside Brown, and Dsat Silver – All of which will be available on both trims. The pricing of the 2WD is set at INR 26.95 Lakhs whereas the 4WD variant will be priced much higher at Rs.29.95 Lakhs. On the safety front, the top-spec Alturas packs nine airbags and tech such as anti-lock brakes with brake assist and electronic stability program. Disappointingly, the 2WD variant gets just dual front airbags. It also misses out on feel-good features such as the sunroof, ambient lighting, memory seats, rain-sensing wipers, auto headlamps and the electric tailgate. The big 7-inch screen in the instrument cluster is replaced by a smaller 3.5-inch screen and the 360-degree camera has been struck off the equipment list as well. 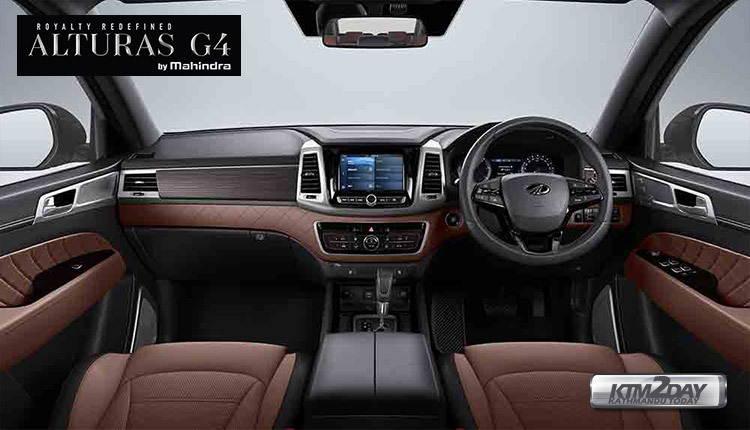 The Alturas G4 would be exclusively available through separate high-end showrooms with exclusive relationship managers to cater to customers. This is the first product launch born out of Mahindra Ssangyong synergy. Mahindra will be launching another Ssangyong product S201 (a compact SUV) in the next quarter.